Brower Youth Award for Environmental Leadership recognizes youth age 13-22 who are keenly interested in the environment and submit a project that demonstrates a plan to protect the environment and its resources. The competition is open to youth in North America and U.S. Territories. The annual award reaches out to youth who take a leadership role in protecting natural resources. Projects submitted will focus on decreasing the use of natural resources and maintaining a healthy ecosystem. Work may include protecting wildlife, saving water and taking the lead to get others involved in earth projects that have a positive impact on the environment and the community. Six youth will be awarded a cash prize and a week in San Francisco Bay where they will enjoy a camping trip and recognition at the awards ceremony. Their work will be featured in a short film. The annual award is sponsored by Earth Island Institute's New Leaders Initiative, an annual event that encourages youth to participate in ideas that will make a difference in the environment. 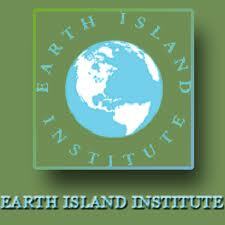 The project was created by David Brower, an environmentalist who founded Earth Island Institute.